Population Growth Continues to Fuel Boom in Auckland. 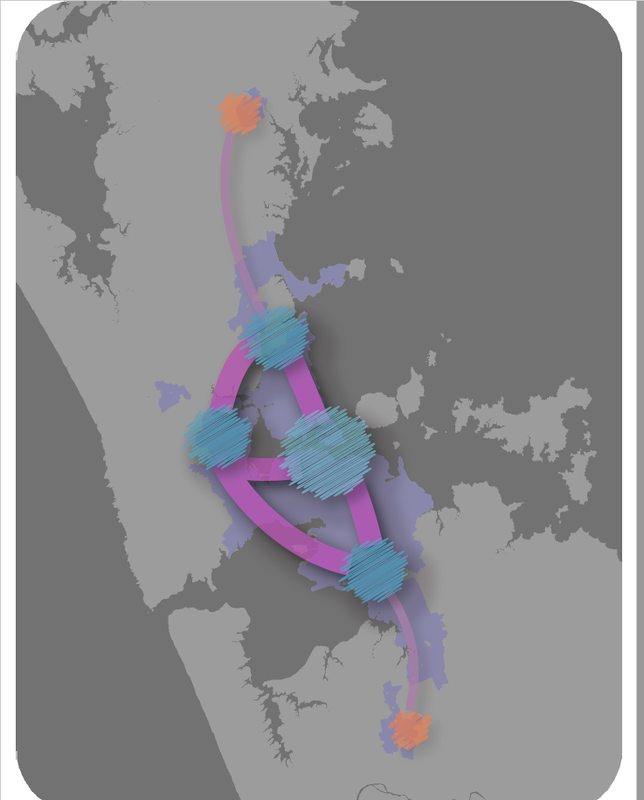 Pressures Mount and Can the Auckland Plan Handle It? The latest Auckland Economic Quarterly from the council’s Chief Economist Unit shows that net long-term migration into Auckland was 34,450 for the year ended March 2018. This capped another 12 months of strong population growth, despite an expectation for the trend to decline slightly for the rest of the year. Senior Economist Harshal Chitale says this growth has fuelled demand for goods and services, including housing and infrastructure. It has also contributed to strong growth in building activity, as evidenced by the increases in non-residential and residential consents. “The building sector is reporting a solid pipeline of construction work and hiring has been buoyant over the quarter despite continued shortages of both skilled and unskilled labour. “The $28 billion of local and central government investment in transport over the next 10 years, recently outlined in the Auckland Transport Alignment Project, should provide longer-term confidence in the infrastructure construction pipeline,” says Mr Chitale. However, the growth in consents was still not enough to keep up with the increase in the demand for housing. Due to population growth over the last 12 months, the housing supply shortfall that already exists, and the slowdown in the number of new house listings, it is not expected that house prices will fall substantially. According to recent figures from Real Estate Institute of New Zealand, Auckland’s median house price in April 2018 was $850,000 which is almost unchanged since a year ago. Auckland’s unemployment rate increased to 4.5% for the March quarter which, although higher than the previous quarter, is still low in a historical context. Nominal wages in Auckland increased about 4% for the year to March, which translated to a real wage increase of about 3%. The Labour Cost Index, which corrects wage and salary increases for productivity gains and for the changing industrial composition of the economy, was up 1.8% for the same period. Businesses, particularly in the building sector, are facing difficulties finding both skilled and unskilled labour, according to the NZIER’s QSBO. If and when net migration does start to fall significantly, these shortages could intensify. Underemployment – defined as those with the desire to work more hours but unable to find those hours – reduced this quarter, which means that spare capacity is being better utilised. Read the full Auckland Economic Quarterly here or sign up to receive the Auckland Economic Quarterly and regular Insights. The evidence of the boom can be seen in Southern Auckland whether it is housings going down, factories going up or the Southern Motorway being a permanent traffic jam even in weekends. There are ways to increase supply of houses. Twyford could return to his idea about the urban limit. He could look at a massive development of a new sub-city between Auckland and Hamilton, as proposed some years ago by right-wing Auckland mayoral candidate John Palino and left-wing Auckland urban geographer Ben Ross. A tax on land-banking might quickly bring Auckland’s 30,000 empty houses on the market. Labour and its Green allies could drop their doctrinaire opposition to comprehensive Resource Management Act reform. So it does beg the question can the Auckland Plan 2050 handle the continued growth Auckland is facing? The answer is no it can not for reasons I mention in the linked article above and the fact the Nodes are not being properly resourced by Council either. In any case after this post was written the new Cities Skylines DLC – Park Life came out so I am off to go test my Urban Geography and Green Utility skills.